Adi Mercado has pursued a career in law since she was in her teens. She earned a paralegal certificate, holds a B.S. from Arizona State University, and has worked in the legal field for years. Her education and background make her an ideal addition to the Black Wynn staff. 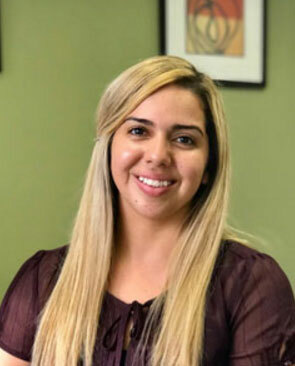 Adi’s current duties include providing client support, performing substantive paralegal work as requested by the firm’s partners, and assisting the Office Manager in connection with the overall functioning of the office. Adi is fluent in Spanish, and this enables her to be of additional assistance with our Spanish-speaking clients. She is always eager to lend a hand to help with the firm’s personal injury cases. As is the mother of two children, Adi spends much of her non-working time with family, including enjoying outdoor sports and other activities.